The literal translation is Pride and Prejudice but I figure that won’t do well with the literature folks. 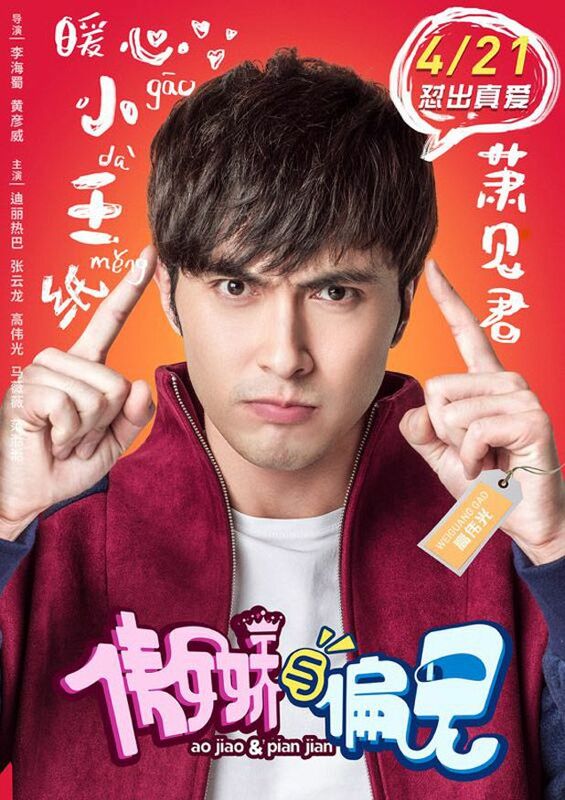 Romantic comedy film Ao Jiao & Pian Jian (傲娇与偏见) is the adaptation of a manhua written by Mei Mei Mao. The last time I wrote about this project was in 2015. A year went by and now the selected stars have hit a new high in their careers. 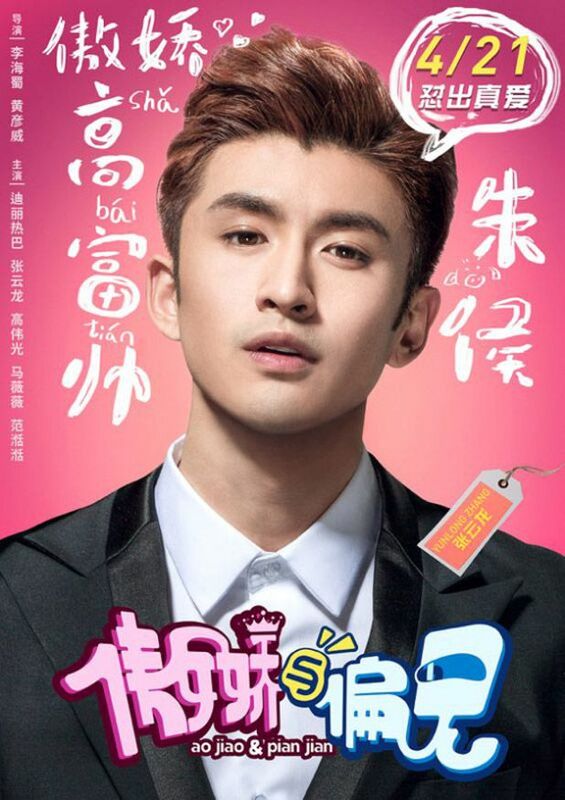 Dilraba Dilmurat plays an online writer who crosses path with a second-generation rich boy “sea turtle” (Zhang Yun Long), resulting in hilarious situations and face-offs. Ao Jiao & Pian Jian hits theaters on April 21st. 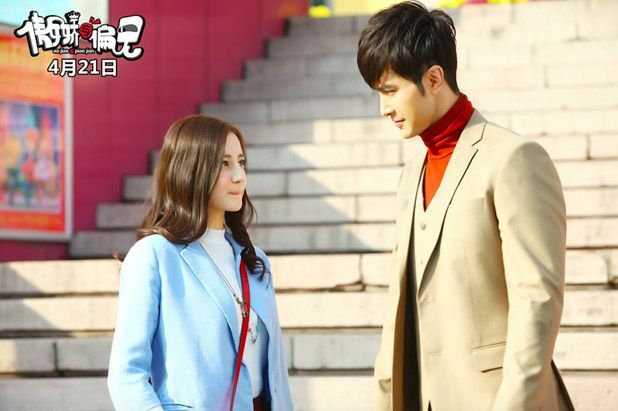 This entry was posted in Entertainment News, Trailers Galore and tagged CMovie, Dilraba Dilmurat, Leon Zhang Yun Long, Manhua Adaptation, Pride and Prejudice (Ao Jiao & Pian Jian 傲娇与偏见), Vengo Gao by Kappy. Bookmark the permalink. After 3L3W can’t see Feng Jiu with anyone else but Di Jun ?? The actor Liu Yuxin who bought the rights to the novel was on the top search charts not too long ago because so many fans thought Dilraba Dilmurat and Venga Gao should reprise their role in the adaptation. She replied that she bought the rights a very long time ago, and nothing is on the table yet. And she urged the netizens to stop hating on (黑) and stepping on her for this matter, mocking herself saying that she’s only a N-list actor and on account of that the netizens should spare her (I think the netizens said it first and she’s being sarcastic). Then again, someone also pointed out that she responded a little too enthusiastically to negative replies on Dilraba and Vengo Gao. In any case, I doubt it’s possible. 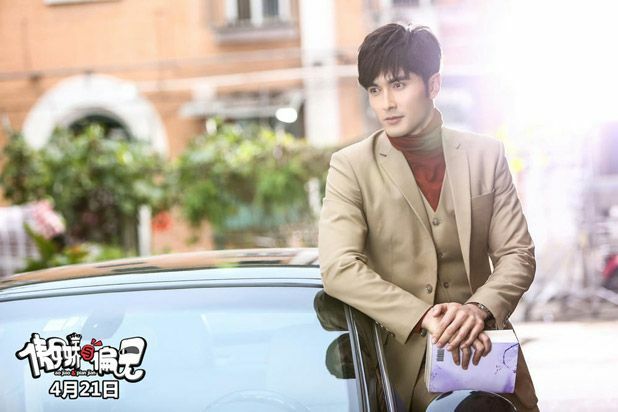 3L3W: Ten Miles of Peach Blossoms was produced by 嘉行传媒, the parent company of Yang Mi’s studio and also (I think) agent company of > 50% of the actors cast in the drama. Unless they can buy the rights off Liu it’s unlikely that the spinoff will star the original cast. I imagine buying the rights to a novel is still pretty expensive. Surprised a b-z list actress like Liu Yuxin could afford it. i don’t quite understand about rights policy, but i thought other party can buy the novel rights. because as far as i know lot of drama adaptation from the same book with different casts and staffs (ie. 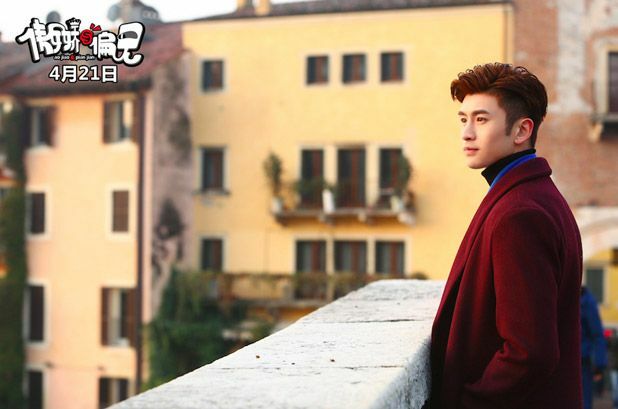 legend of condor heroes, love o2o movie and dramas). i kinda late for this news, but i heard the rumor about her (liu yuxin) and kris wu as FJ & DHDJ for the pillow book adaptation?? Their fans sound so nasty and immature. Bashing Liu Yuxin because she holds the rights. It’s not her fault that she was smart and proactive enough to see potential in the story and bought the rights years ago They just need to be grow up and deal with it. @Coralie: The netizens are not wrong in saying that she’s a N-list actress lol. @milol: I’m not sure how it works too. But those productions actually happened, and I’m guessing that a certain number of years after the rights are exercised the author can sell them off to authorise another production again. In the case of Pillow Book however, there’s only been (horrible casting) rumours but nothing’s really happened. Perhaps her option contract is for quite a number of years, and it makes sense that no other company can purchase the rights then or she’d be paying money for nothing? Did she buy both the drama and movie rights? I’m reading a translated version of the pillow book novel in English right now and trust me when I say all I see is Dilraba and Vengo’s face as Feng Jiu and Di Jun’s it really only is!!! Oh my the story, with their faces and how they interact in the show! Perfect! is that a white guy ? Dude you need to stop. Both Zhang Yunlong and Vengo are Han Chinese. China’s a big country, you better deal learn to with the diversity even, just within the large Han group. I honestly can’t help you if you’re going to insist people are mixed or an ethnic minority even if they are listed as Han Chinese. Like I said, China’s a big country and you’re going to get a wide mix of features and interesting combinations. I thought for the longest time Yan Yikuan was mixed until I looked it up and he’s Han Chinese too. There’s a lot of perks to being an ethnic minority in China, and so I don’t know why they’d be listed as Han otherwise. My cousin is like 1/4 an ethnic minority and she still claims it to get the benefits (kind of like affirmative action) in China. I think Dilraba is going to be one of those actresses who has chemistry with whomever she is paired with like Zhou Dongyu. She’s killing it right now! I hope this follows the Pride and Prejudice storyline somewhat. 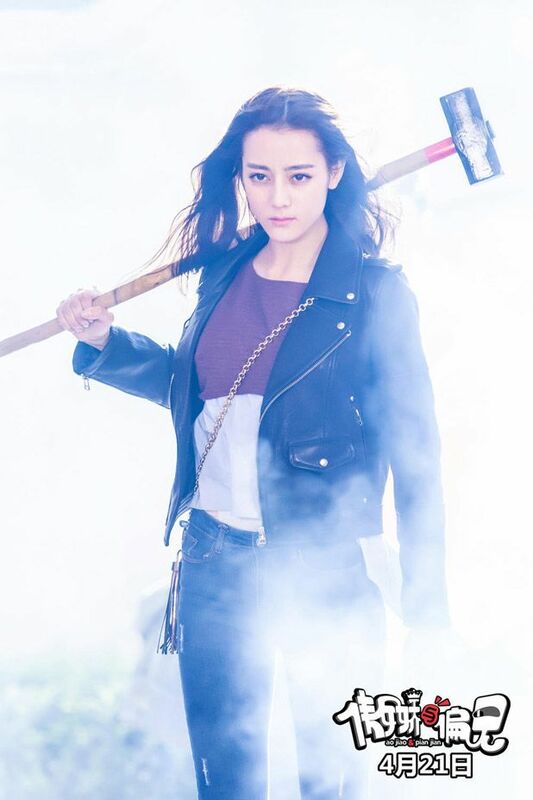 She had no chemistry with the awful robotic lead male in Pretty Li Hui Zhen but I think any actress would struggle to have chemistry with the character the way that actor played him. @Clare: It’s not Dilraba’s fault they had no chemistry. I haven’t seen Go Princess Go so maybe he was better in that show but in Pretty Li he was a stiff as a board with one facial expression throughout. Dilraba tried her best and pretty much did all the acting in their scenes together which can’t have been easy for her. that troll the donald is cracking me up oh my god ? ? ? Dilraba looks gorgeous here *_* I’m really hoping for her to succeed. I dare to say C-dramaland is a bit more diverse than the U.S when it comes to casting tbh.